Christmas Decorations Catalog | Collections Etc. Light up every room in your house — and even outside the house as well — with the right home décor and apparel from our Christmas catalog. We know that decorating is a big part of setting a cheerful mood around the holidays, and we’re here to help you find whatever makes you feel jolly. Our collection of Christmas decorations has something for all ages that is colorful and unique. And if you like to go all out, don’t miss our Christmas Apparel category with dozens of festive tops and accessories to put together a dazzling holiday ensemble. Many of the Christmas products you’ll find here will also be a practical part of your holiday day-to-day. Check out our Christmas bedding sets for sheets, quilts and pillows that will be the highlight of your bedroom. 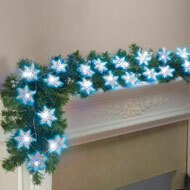 We have plenty of living room holiday décor as well, such as adorable snowflake throw blankets and poinsettia accent rugs. Dress up the dining room for dinner with our Christmas table decorations — and keep a few cute items in the kitchen as well. You can even jolly up your bathroom with Christmas shower curtains and bath towels! Collections Etc. 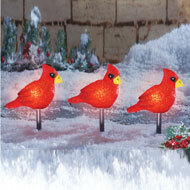 has a large inventory of Outdoor Christmas lights that can go on your tree, banister, porch railing or mailbox. Hang an evergreen wreath on the door to welcome guests or get some lawn ornaments and inflatables that will have the neighbors slowing down to look at your enchanting Winter Wonderland. Whatever your Christmas decorating style, Collections Etc. has hundreds of amazing values on Holiday products at prices that can’t be beat. 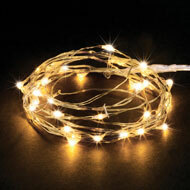 Firefly Cluster Micro String Lights, 100 ct.